Sis Nails & Spa is a top-notch nail salon and spa in Maryland Heights, Missouri, zip code 63043. Our nail and spa salon is the most affordable and professional. We focus on our customer safety, needs, and satisfaction. 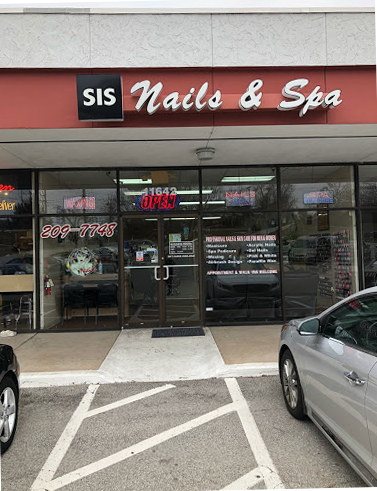 Sis Nails & Spa offers the highest quality, most enjoyable manicure and pedicure services in Maryland Heights, Missouri. Since our doors opened, we strive to provide each and every client with the most enjoyable and relaxing manicure and pedicure services available. As you enter Sis Nails & Spa you are greeting by our friendly staffs that are highly skilled Nail Technicians, devoted to your personal care and complete satisfaction, rejuvenate your feet and hands. We aim to maintain our reputation for professional quality services, which will compel you to refer us with pride. Sis Nails & Spa understands that Safety and Sanitation are very important to its customers. Our implements, equipment, and electrical instruments are always thoroughly cleaned and subjected to an approved sanitizing and disinfecting process before being reused. Buffers and files are used only once, then discarded. All pedicure procedures are performed with liner protection. Our staffs were trained to follow a proper sanitization protocol that puts our customer’s cleanliness as the number one priority.